Well, since U-Haul didn’t want our business because we own a Ford (and we left the KIA at home), we were left with some spare time on our hands. My cousin, Val, drove over from California to see us and we all decided it would be fun to do something “touristy”: Harrah’s Auto Collection. I guess it’s called the National Automobile Museum, but I’ve always known it as Harrah’s. Back in 1975 or maybe in 1977, I walked through the original museum: a huge warehouse full of old cars, parts, and more old cars. 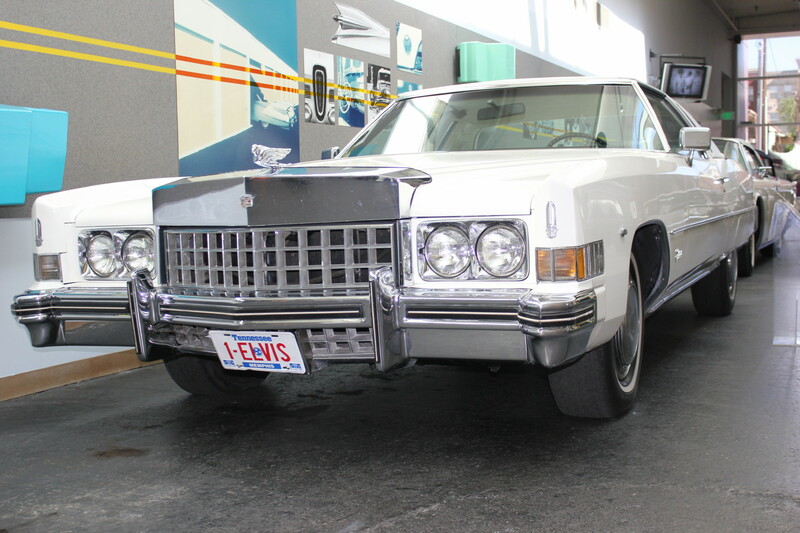 You couldn’t begin to absorb the enormity of the collection and after awhile all the old cars started looking the same and your feet started to hurt. But the museum has been moved to a different location and only certain cars are on display, and all the replicas are stored elsewhere. My husband had never been to Harrah’s. This was a real treat for him. There’s everything there and I couldn’t begin to snap photos of everything I fell in love with. 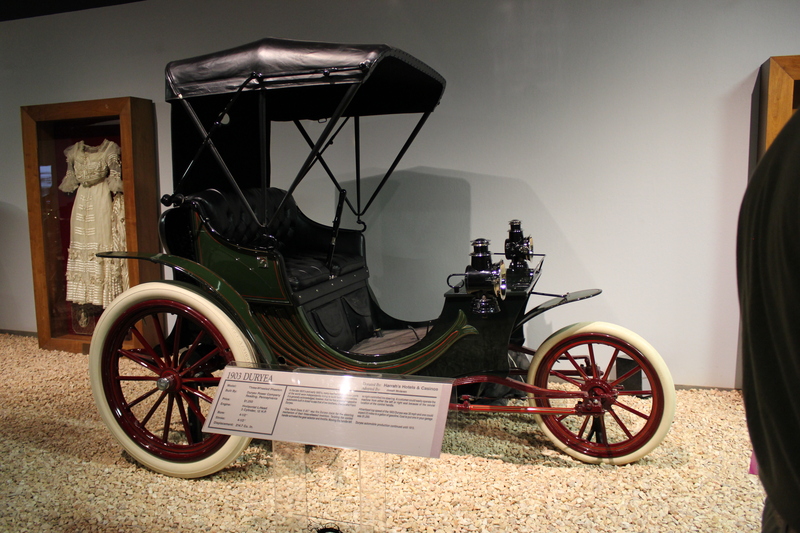 This “horseless carriage” is a 1912 Baker. 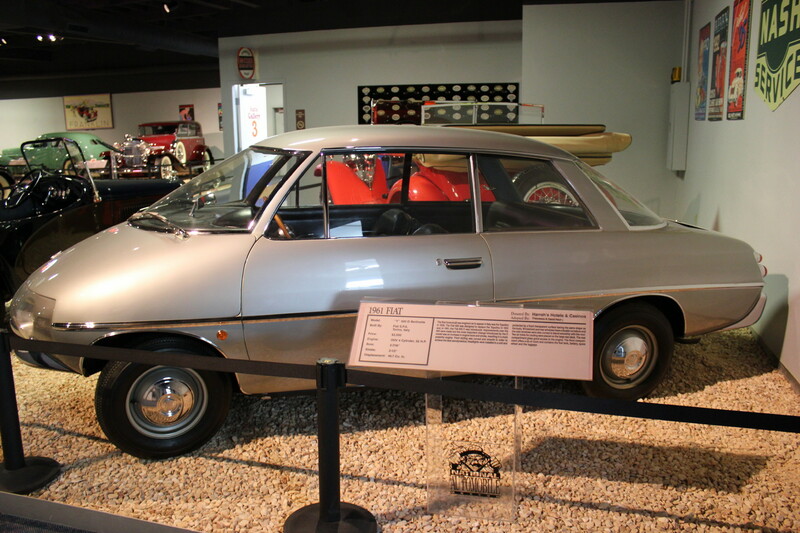 It was an Electric car (and you thought “”smart cars” were new technology)! 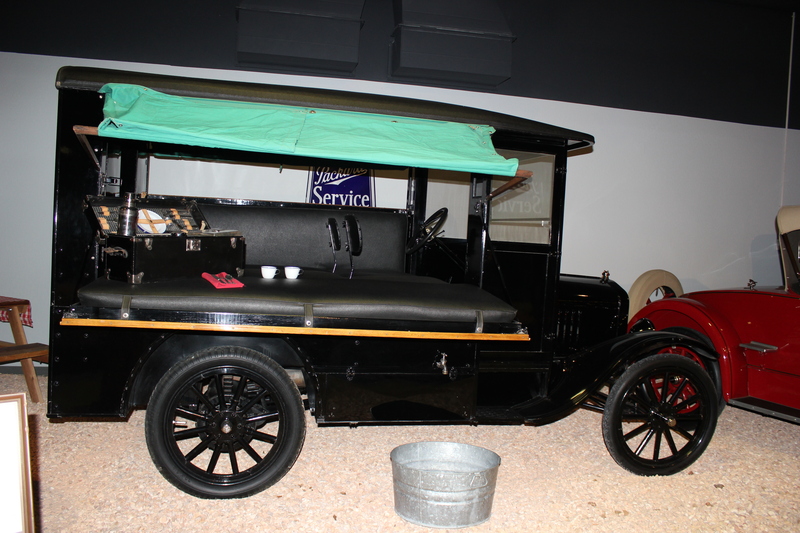 How about the 1921 Ford? 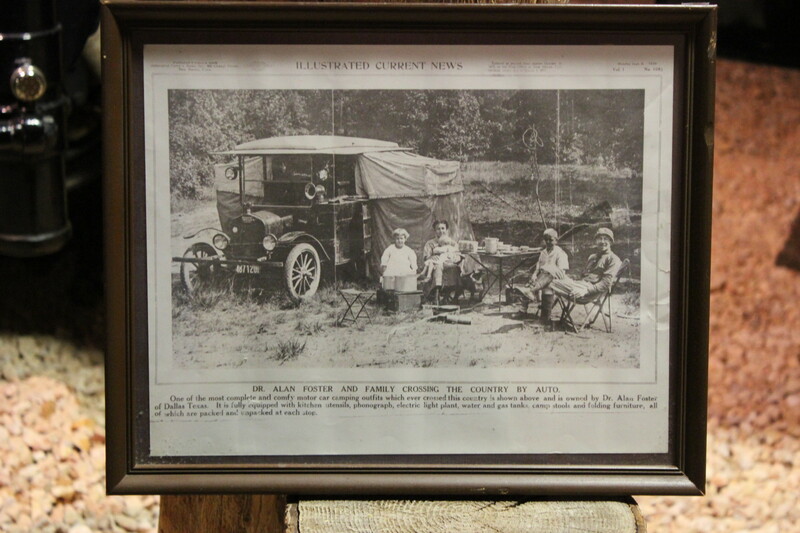 Forerunner of the SUV. I like the picnic window and little canopy. 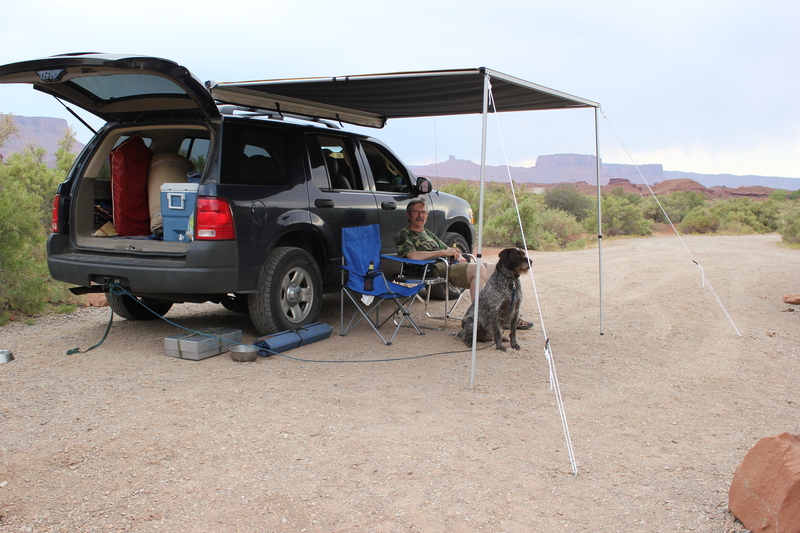 It became quite the little camp car with the tent extensions. 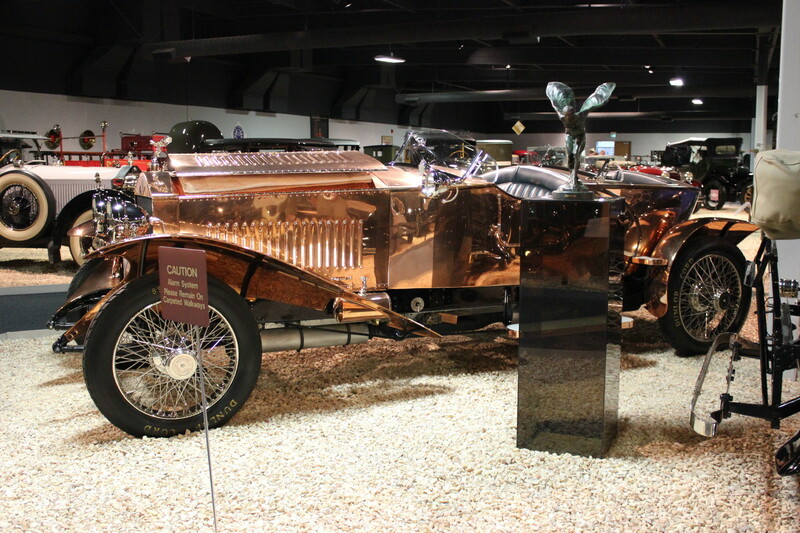 WHO doesn’t want to drive a 1925 Dusenburg?? 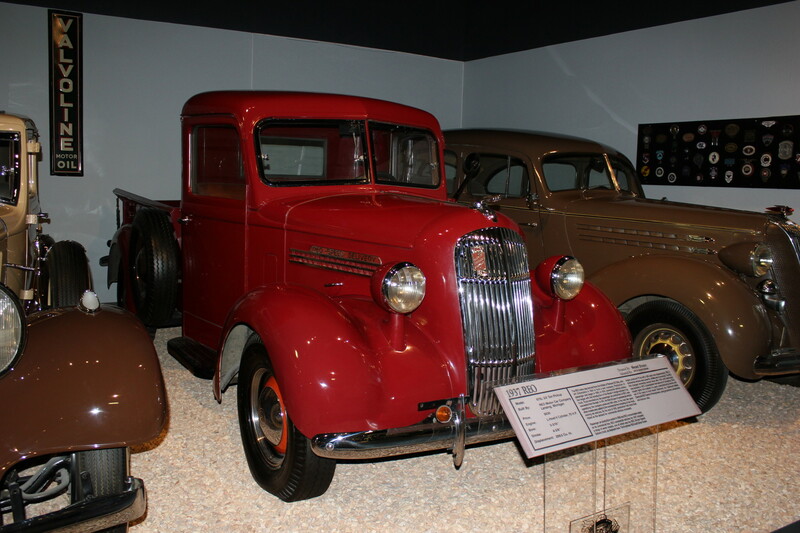 Possibly my favorite (I love trucks): a 1937 REO. How about a 1961 Fiat? Isn’t that a crazy looking car? 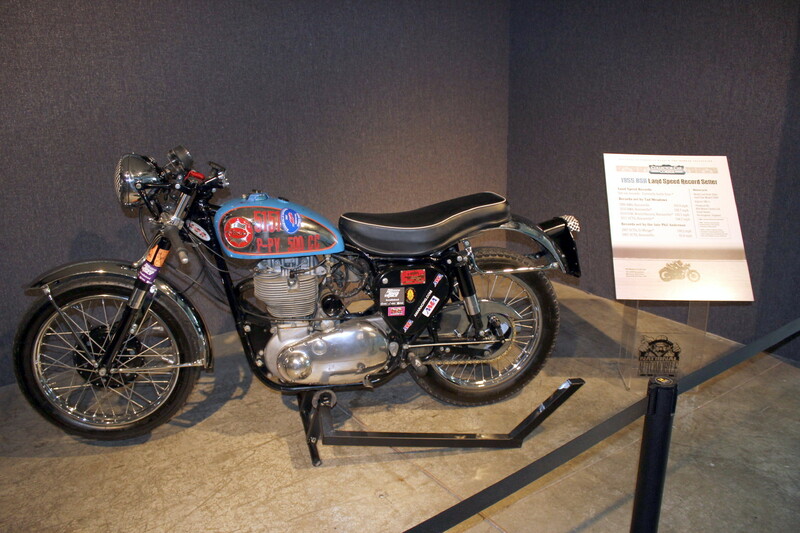 A 1955 BSA Gold Star. WAIT. I know that bike. That bike belongs to my cousin’s son, Tad. 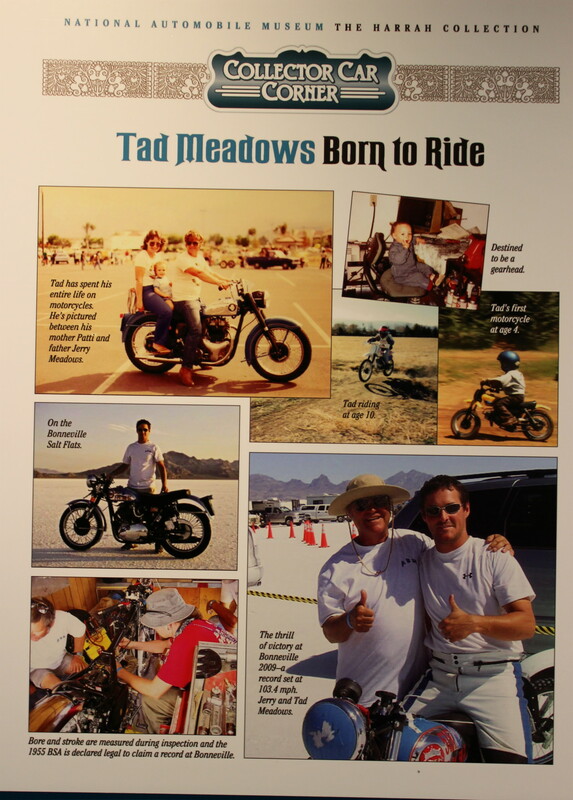 Tad set several land speed records with it at Bonneville Flats, the most recent being 104.745 mph. 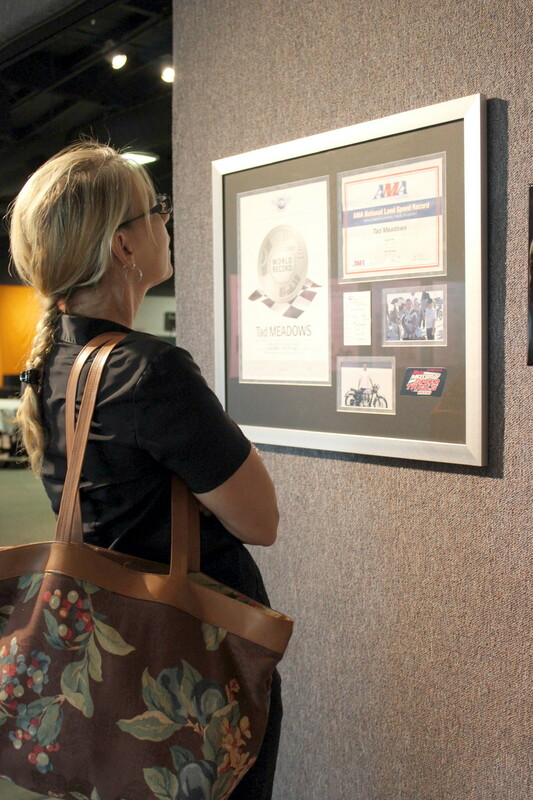 Val reads one of the many plaques in the area where Tad’s motorcycle is (temporarily) on display at the museum. That’s my cousin up in the upper left photo, “way back when”. Um, as in way back before her hair turned silver. In the lower left, Jerry (my cousin’s husband) and Tad embrace. We’re all pretty proud of Tad. 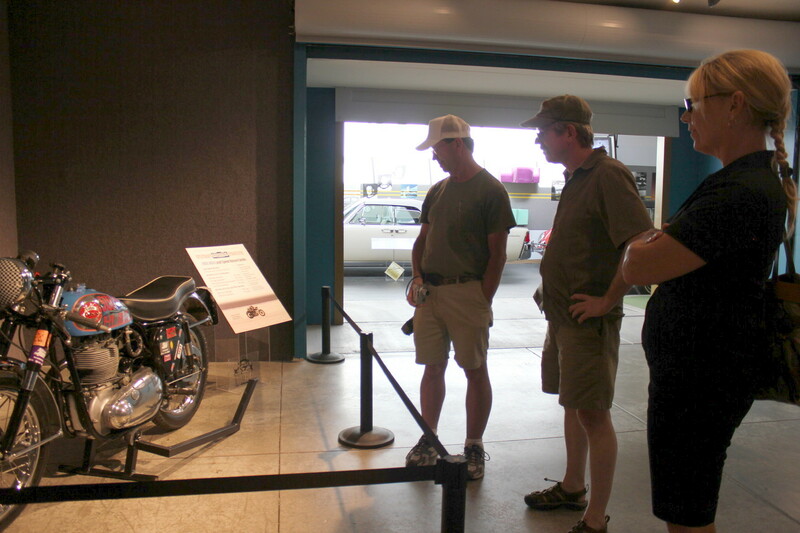 Terry, Don and Val admire the motorcycle. There were so many cars and not enough space to post a photo of every single one of them (if I had taken a photo of every one, which I didn’t). 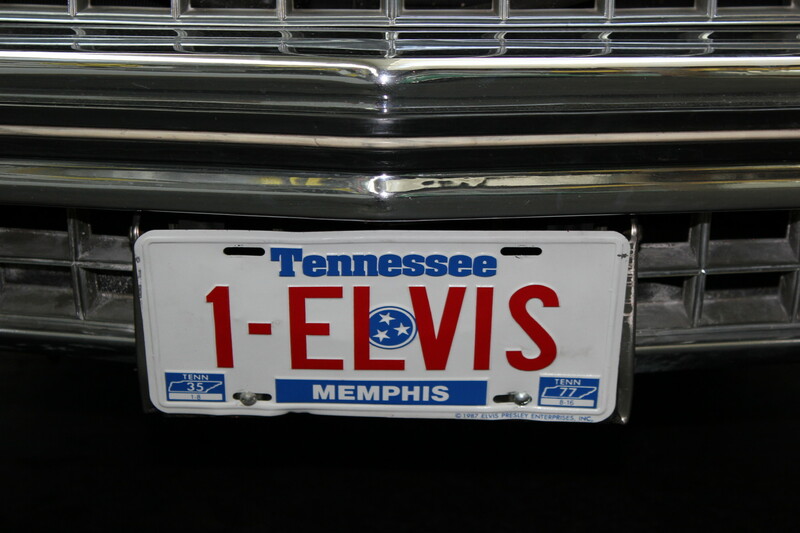 I took it for my boss, who is a huge Elvis fan. 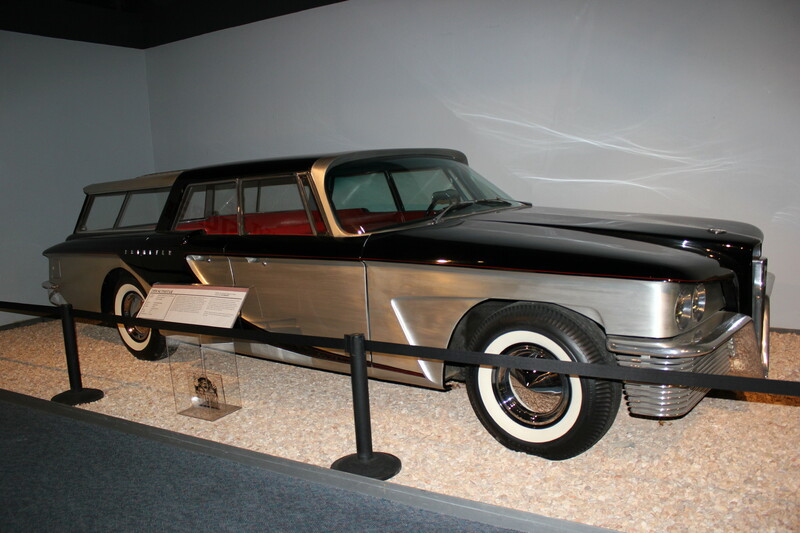 It’s a neat museum though, even if it’s missing some (most) of Harrah’s cars. I know – the saddest part for me was that my feet didn’t hurt this time through. But it was still really cool. And Don really enjoyed it! Thank you, Terry! !